It takes its inspiration from traditional soda bread, and uses soda, buttermilk and blackberries (fresh or frozen) in its composition. If you want it fresh in the morning you can leave the mixture overnight in the fridge. For me its a handy thing to make when baking bread or pies anyway - so you don't waste energy. 250 ml (1 cup) buttermilk - yogurt can be used as a substitute or a mix. Beat together oil, egg, sugar (and vanilla if wanted) and add to buttermilk/bran mixture. Sift together flour, baking soda, baking powder and salt. Stir flour mixture into buttermilk mixture, until just blended. 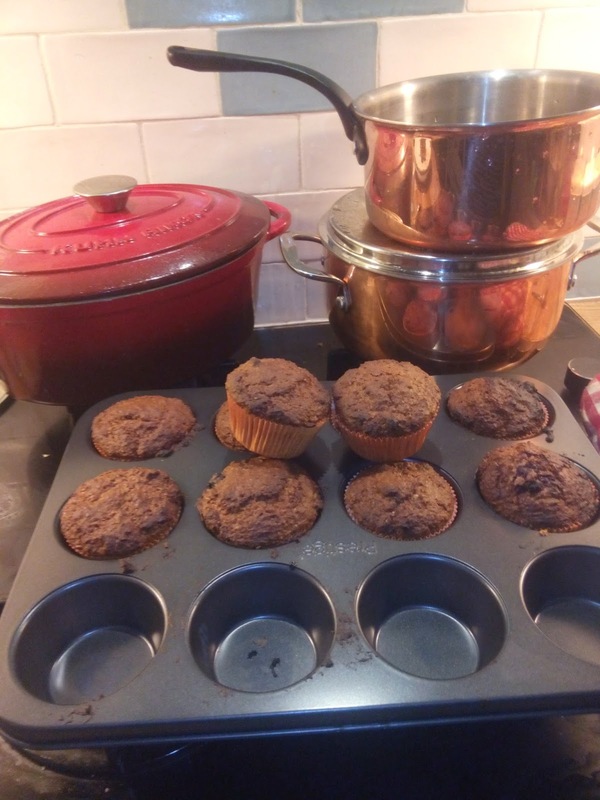 Fold in any desired fruits and spoon batter into prepared muffin tins. Try not to overcook - 15 minuted should do it in a fan assisted oven.